Struggling biotechnology companies feel the heat from Wall Street when their drug candidates fall flat. But successful biotech companies can face a different kind of pressure from investors, says BioMarin CEO Jean-Jacques Bienaimé. BioMarin’s total revenues are still rising for the three drugs it shepherded to FDA approval from 2003 to 2007. The drugs–laronidase (Aldurazyme), galsulfase (Naglazyme), and sapropterin dihydrochloride (Kuvan)–treat rare genetic disorders that can cause severe symptoms such as deformed bones and mental impairment. The Novato, CA-based company, with revenues approaching $500 million for 2012, can choose when to become profitable, says Bienaimé. Wall Street investors have been pressing the company (NASDAQ: BMRN) to realize short-term profits while it can, says Bienaimé. But the chief executive continues to nurture a sizeable research program in the hope of adding to BioMarin’s product line. Bienaimé is betting that BioMarin can beat the daunting odds in drug development and continue to field successful new treatments. The company’s research and development costs have been rising as its pipeline drugs move forward into clinical trials. BioMarin’s R&D expenditures in 2011 were $214 million, or more than 48 percent of revenues. In 2012, R&D approached $300 million, and is expected to surpass that amount in 2013. Recent news on BioMarin’s pipeline drugs may have helped the company justify those big R&D bills to investors. The company’s share price jumped more than 30 percent in November, after BioMarin announced encouraging Phase III trial data on its leading drug candidate, GALNS, (N-acetylgalactosamine 6-sulfatase). The compound is an experimental treatment for an inherited enzyme deficiency, Morquio A syndrome, that can cause a host of damage including skeletal malformations, a constricted chest cavity, and breathing difficulties. BioMarin plans to file for FDA approval of GALNS in March. If GALNS wins FDA approval, it may secure the future Bienaimé envisions for BioMarin—as a company that remains independent while its profits become sustainable. 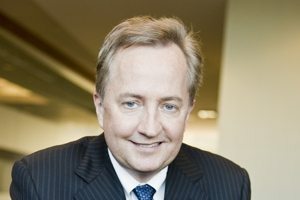 The CEO estimates that GALNS revenues would exceed $400 million after four or five years on the market, thus doubling BioMarin’s 2011 revenues of $441 million. Peak revenues for GALNS could eventually reach as much as $750 million, Bienaimé says. The FDA’s decision on the drug could come by the end of 2013, with significant revenues beginning in 2014 if GALNS is approved. BioMarin also reported progress in September for PEG-PAL, a drug candidate for patients who don’t respond to Kuvan, the company’s first-in-class treatment for an inherited metabolic disorder called phenylketonuria. BioMarin announced it expects to be able to move PEG-PAL into a Phase III trial in the second quarter of 2013. BioMarin’s pipeline also includes drug candidates for achondroplasia, the most common form of dwarfism; Pompe disease, a degenerative disorder caused by an enzyme deficiency; and certain cancers that are genetically vulnerable to targeted molecular inhibitors.